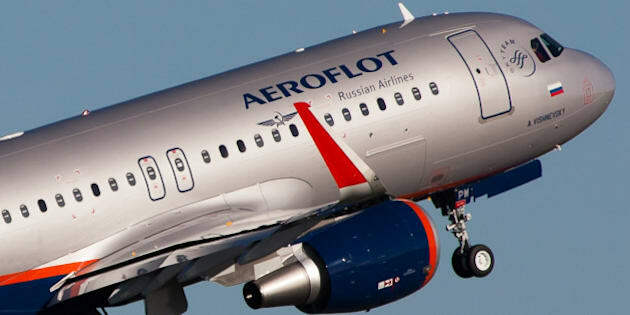 Russian flagship carrier Aeroflot has cancelled regular flights to Canada, saying its flight to Toronto has become unprofitable. There was no indication from the airline that the move was political, but Canada’s limited sanctions on doing business with Russia, enacted in the wake of the Ukrainian conflict, likely impacted travel between the two countries. Aeroflot director-general Vitaly Savelyev said the airline had hoped to pick up some of the air traffic between India and Canada, using Russian airports as a hub, but Aeroflot wasn’t able to make the arrangement work. “This flight did not bring sufficient profit and was not recouped, so, we closed it,” he said, as quoted by Russian news service Itar-Tass. Savalyev didn’t rule out the possibility that Aeroflot could re-start flights to Canada, but suggested it likely wouldn’t be for a long time. The Moscow Times reports that another Russian airline, Transaero, stopped flying to Canada last month. That means no Russian airlines have regular flights to Canada any longer. Once the national airline of the Soviet Union, Aeroflot is now the largest airline in Russia. It is majority-owned by the central government.